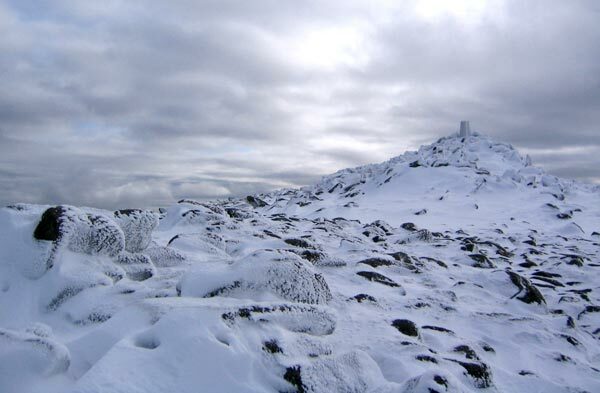 Mount Keen is the most easterly Munro and an isolated mountain with tracks leading to it from the N and S making easy access by cycle. 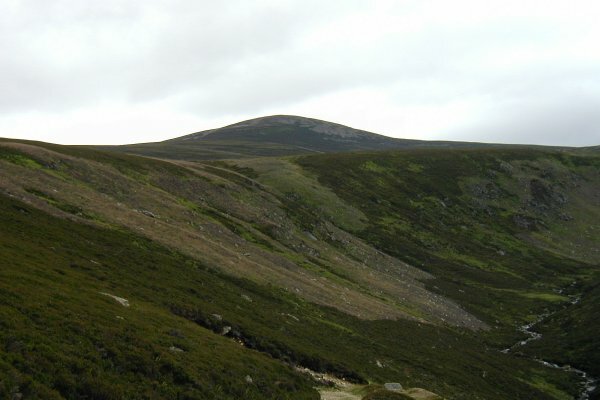 It has a conical summit cone, from which broad ridges lead S to Glen Mark, N to Glen Tanar, NE and E to connect to Braid Cairn. There are crags on the E flank of the N ridge but otherwise all slopes are easy. Snowy peek of Mount Keen in February '05. The summary information of one or more ascent routes that include Mount Keen. 1 730 m 17.62 km 5 hrs Mount Keen Moderate walk on easy terrain. 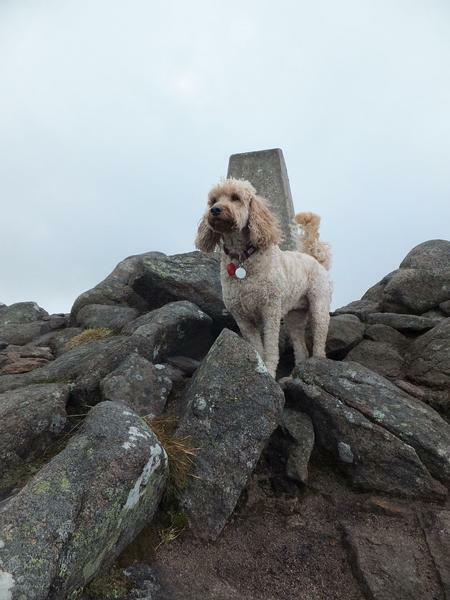 Molly at the rather windy summit of Mount Keen. November 2014. 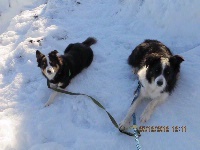 Pups resting against the compacted snow on the trig point !! Post a few words about Mount Keen or read what others have had to say. Showing the most recent 5 of 26 comments. Would you like to view all 26? This has to be the easiest Munro! The climb up is so straightforward even in low cloud - just follow the track up behind the cottage at Glenmark above Queen's Well and once on it, keep right up easy gradients to reach the summit. Quick progress in a lonely glen. This is a nice comfortable Mountain to achieve during the shorter winter day. I, my brother dav, son Alan & Border Collies Tino & Ollie did it in 5 hours (including lunch at the summit)! Climbed this on the 25/01/2009. The climb itself is really quick but the weather conditions were terrible with snow, blizzards and absolutely freezing temperatures. A worthwhile climb and a perfect opportunity to try out my new Scarpa Freney XT GTX Mountain boots. First munro ive came back with dry feet :). Wooooooooooooooo Anyway another munro bagged. . . finally. My last 2 attempts at Aonach Beag failed due to time constraints during winter so this worked out well. Started at invermark, found this really easy took about 4 hrs. Started from Glen Tanar. Cycled in as far as newish bridge and then it was a case of straight climb up on fairly easy terrain. Journey took me 3hours 15 mins in total, and offered some awesome views in to the corries of Lochnagar. Not the most glamourous of hills but certainly not as bad as some people say it is.